For South Riding and Centerville drivers looking for an entry-level small car with high-end design, the all-new Mercedes-Benz A-Class sedan is the next luxury car to beat. 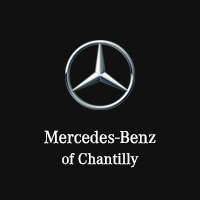 Browse our inventory to find a Mercedes-Benz A-Class for sale at Mercedes-Benz of Chantilly! To learn more about the Mercedes-Benz A-Class and how it compares to the C-Class, contact Mercedes-Benz of Chantilly. Our experts will help you find the right model for your needs and budget!